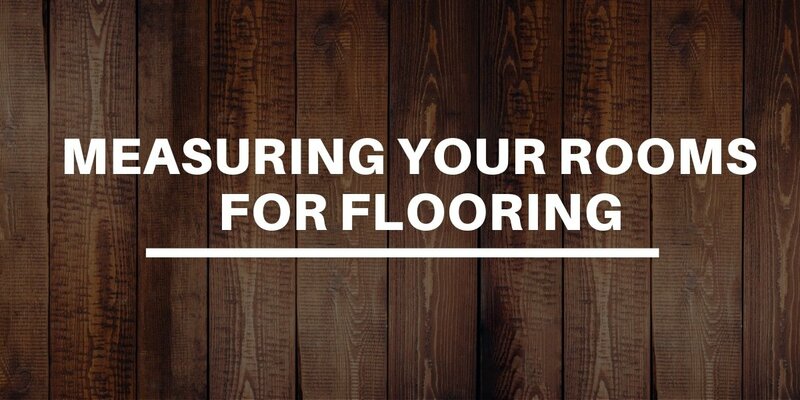 Once you choose your new flooring, the next important step is to know how much flooring you’ll need. This will keep you from purchasing and ordering too much or not enough flooring. The first step to getting an accurate measurement of a room, especially odd shaped or multiple rooms is to first draw out all of the rooms that you are buying flooring for. You’ll use this diagram to write down all of the measurements. Using a tape measure, measure out both the length and width of all areas. This will give you a rough estimation of how much flooring you’ll need. In odd shaped rooms, it becomes a bit trickier, but by measuring out each wall will give you an estimation of the square footage. Pictures can help us get an accurate representation of the space, especially if the room has stairs or odd shapes that we’ll need to take into account. As part of the floor buying process, someone will come out and verify that the square footage and amount of flooring that is needed are correct and accurate. This helps to prevent mistakes that could end up costing you time or money. Let us help to make your floor buying experience easy. Our team can help you not only select the perfect flooring to fit your needs and budget but also help measure and order the correct amount of flooring that you need for your project.